CAPE CANAVERAL, Fla. -- For the first time in a decade, Mercury will pass in front of the Sun in the late morning hours of Monday, May 9. Between 6:12 a.m. and 1:42 p.m. CDT, Mercury will appear as a small black dot whirring past the Sun. The passage is known as transiting, and it will only be visible through a telescope or binoculars. NASA urges stargazers to outfit their gear with a solar filter to prevent eye damage. Transiting events are important in shaping our understanding of the universe, as they help astronomers gauge the size of and distance between two celestial objects. 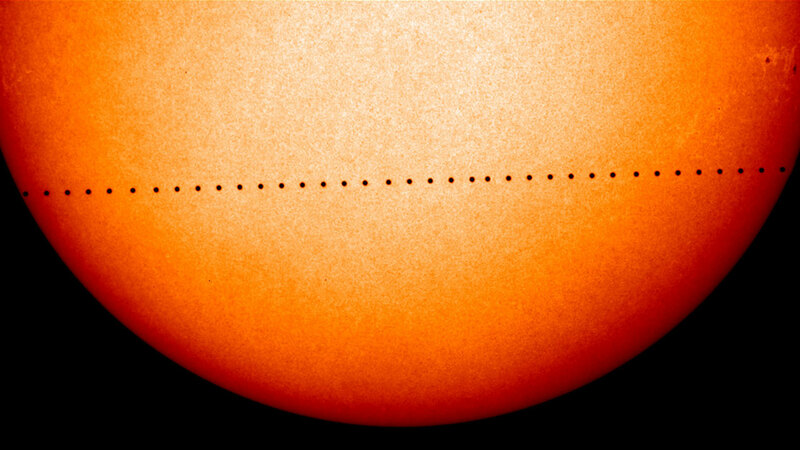 Mercury only transits the Sun 13 times per century; the last transit occurred in 2006. NASA will provide live coverage of the event on its website, including a near-live feed from one of three satellites positioned to study the event.